It doesn’t matter if you have a lot of scrap metal that you acquire through your business or if you have a small collection from typical home use, you can turn those discarded materials into cold, hard cash. 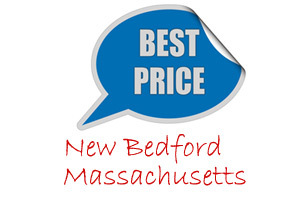 In order to get the best prices for scrap metal in New Bedford, it is important to know the current scrap metal prices and conduct business with a solid, reputable scrap metal business. Whether you have a couple garbage bags filled with crushed aluminum cans or a truck load of steel, it is important to get the best deal for your scrap metal. Once you have gathered your scrap metal, sorted it and are ready to sell it for cash, it is important to check out the current scrap metal prices. You don’t want to leave your junk metal lying around for too long, but you do want to get the best rate. You can monitor the current rates by checking the market, but your best bet is to call your local scrap metal busines to find out what they’re paying. Local rates may differ than the national average. For example, the national average for aluminum pipe might be 50-cents a pound, but you could get more from your local scrap metal business – as much as two to five cents or more. Aluminum cans are another item that people track nationally, but can be worth more on the local level. Depending on the needs of local businesses, industry and regular customers, you could make more for copper or brass right here at home. It just pays to call ahead and know what to expect. You won’t typically find a national average rate posting for metals like lead or zinc, but there are buyers for these items locally that could fetch as much as 25-cents a pound or more, depending on demand. There are a number of reasons why scrap metal prices can vary. Understanding how this works will help you to get the best prices for scrap metal in New Bedford. The price of virgin metal fluctuates, which trickles down and affects the prices paid for scrap metal. When the rate for virgin metal rises, it rises for scrap as well. Unfortunately, when the rate drops for virgin metal, it also drops for scrap at the same time. Supply and demand is another big influence. When a housing boom occurs, builders need more pipe and the price will typically rise as a result. However, when a housing bust hits, the price of pipe will drop and affect the rate paid for recycled scrap metal all across the country. Even rare metals are subject to these changes, but can also be influeced by politics, trade agreements and costs associated with importing them from other countries outside the United States. The final influence is the cost of fuel. Fuel prices affect everything in our lives, from the price of a gallon of milk to the cost of a loaf of bread. When the costs of electricity, natural gas, coal and even oil rise, the cost of metal goes up as well. Mid City Scrap Iron & Salvage gives the best prices for scrap metal in New Bedford and the surrounding Southcoast Massachusetts area for all of your scrap metals. They accept aluminum, steel, zinc, lead, copper, brass, iron and other scrap materials. You get paid according to the total weight of each type of metal you bring in to sell. Many people don’t realize the advantages that come with working directly with a local scrap metal business. For example, the health hazard that comes with storing scrap metal and materials alone is well worth the effort of selling your scrap metal and clearing it from your property. Big piles of metal can create a dangerous risk and can even become a liability on the job site with regard to employee safety. If you have a lot of scrap metal that you need to sell, contact Mid City Scrap for a free quote. Pick-up services, collection bins and other helpful tools are also available to make it even easier. We work with businesses to streamline the process and get you the best prices for scrap metal in New Bedford – and beyond. Even homeowners can get in on the act of selling scrap metal in New Bedford. Any debris that is lying around your garage, basement or property is more than just an eye sore, it’s a potential hazard. Tins, cans, wires, appliances, computer hardware and more are all valuable materials that can be recycled for cash. It is a good idea to recycle your junk items with your local scrap metal business to help keep the environment surrounding your home and community safe and to make a profit from your clean-up efforts. Just give Mid City Scrap Iron & Salvage a call at 508-675-7831 to find out the current scrap metal prices and learn how to properly recycle your scrap metal materials. For information on our hours, directions to our location in Westport and tips on identifying different types of scrap metal, visit our website. ← Be a Hero in Your City or Office – Start Recycling in Massachusetts Today!